I can certainly understand why they made July the month of ice cream! It’s been a stifling 90+F with super high humidity making it feel well into the 100’s. The only thing that cools us down is a trip to the beach and ice cream cones to wet our whistles! The kids are loving summer and officially never want it to end. I’m not going to lie, I could do without the heat, but I’m so happy it gives us a chance to be together and make family memories! With no obligations, every day has been leisurely and unplanned. The kids don’t necessarily need to be in bed by a certain time, which allows us to be more flexible and fun with our evenings as a family five! We randomly decided this past weekend to go to the beach two nights in a row to beat the heat and the crowds! It was great going around 6pm and splashing around the waves. The kids all had a blast and those evenings will be the classic summer memories that I will remember forever. We made sure to eat dinner super early and enjoy some sugary treats before going full blast on the beach. I usually don’t serve sweet treats like ice cream in the evenings since my kids go into full on sugar-high mode right before bed, but these beach nights were a great excuse to splurge! 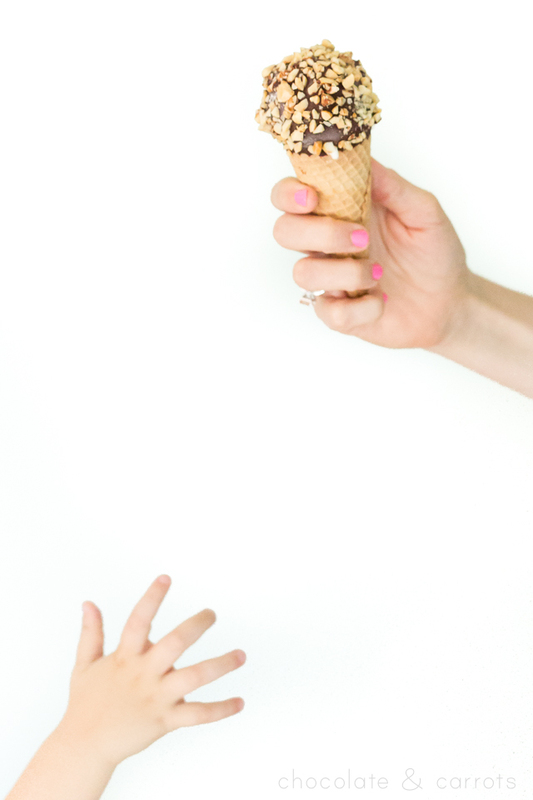 Since it’s National Ice Cream month, I could think of nothing better than the classic dipped cone for our boys to finally experience. Thankfully, Mayfield Creamery makes a variety of ice cream, including the classic flavors like Vanilla Bean. All of Mayfield’s ice creams are made with the genuine southern homemade taste families across the southeast have loved and trusted since 1923. 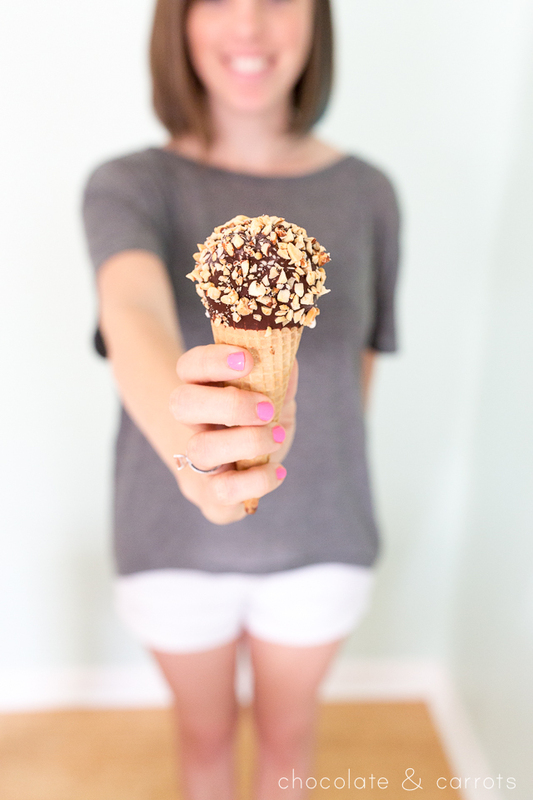 Perfect for our dipped cones! 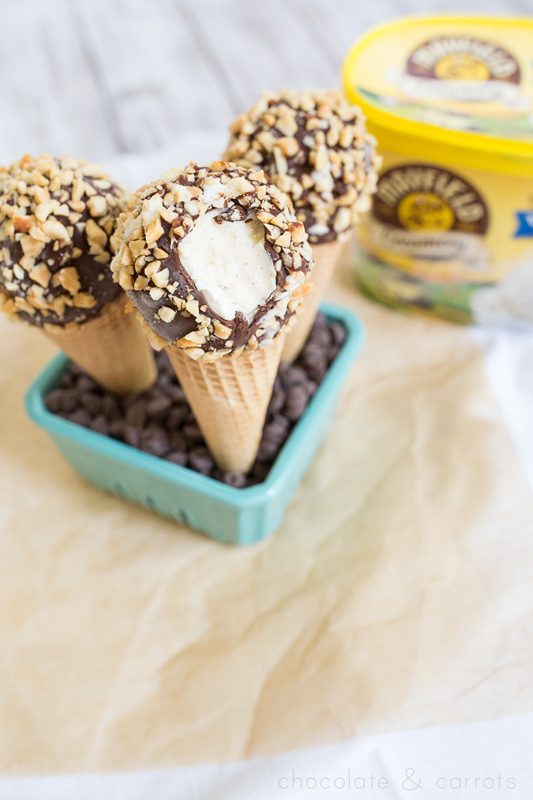 Homemade Chocolate Dipped Cones are so easy to make and keep in your freezer for later. I made these early in the morning last week and they were ready for us to dig into before our evening beach trip! You should have seen the boys chocolate covered faces. So precious! Plus, I think they are 10 million times better when made homemade. You can control the ingredients and make them with quality and creamy ice cream that makes every bite amazing. 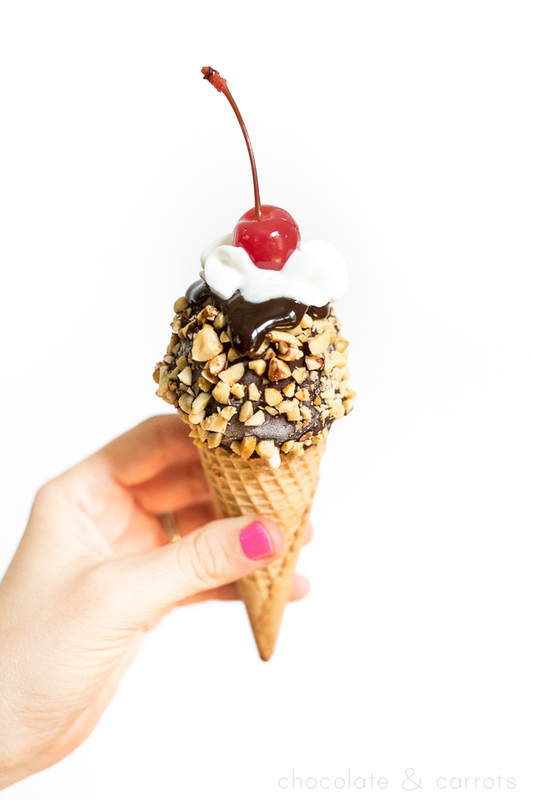 Even better, you can change it up and really put any flavor inside of the dipped cone! Go crazy! Mayfield offers limited edition flavors and new flavors every year. This year you can look forward to Lemon Ice Box Pie, Summer Berry Swirl, Sea Salt Caramel Cheesecake and Candy Jar Crunch, Cherry Chocolate Chip and Banana Pudding, as well as seasonal favorites Pumpkin Pie and Peppermint Stick. 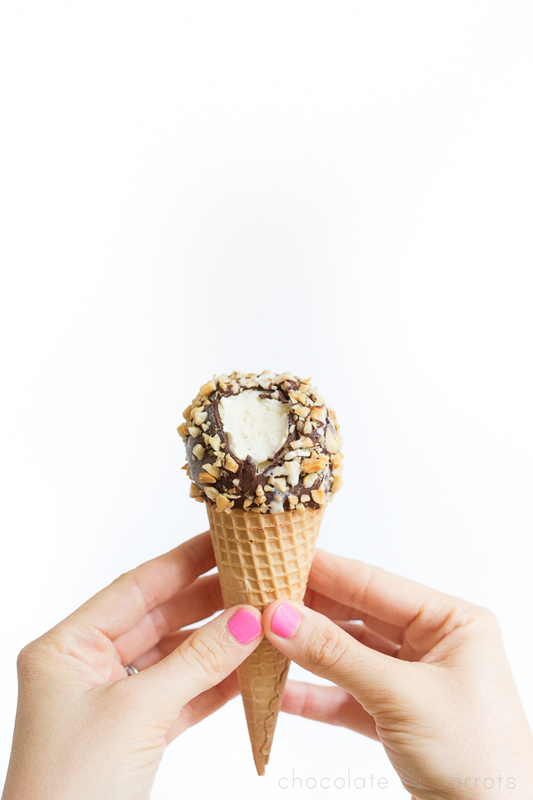 How refreshing with a Homemade Chocolate Dipped Peppermint Stick Cone taste right about now?! Heat the chocolate chips and coconut oil in the microwave, 20 seconds at a time, stirring in between until melted. Set this aside on the counter to come to room temperature. This is your homemade magic shell. 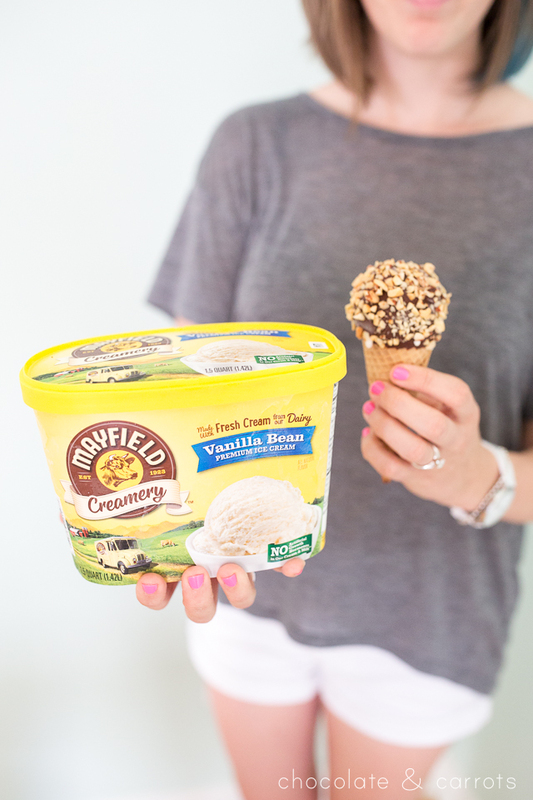 Allow the Mayfield Creamery Vanilla Bean Ice Cream soften on the counter for about 20 minutes. Meanwhile, find some cups, egg cartons with holes in them, shot glasses or something to help keep your ice cream cones upright in the freezer. 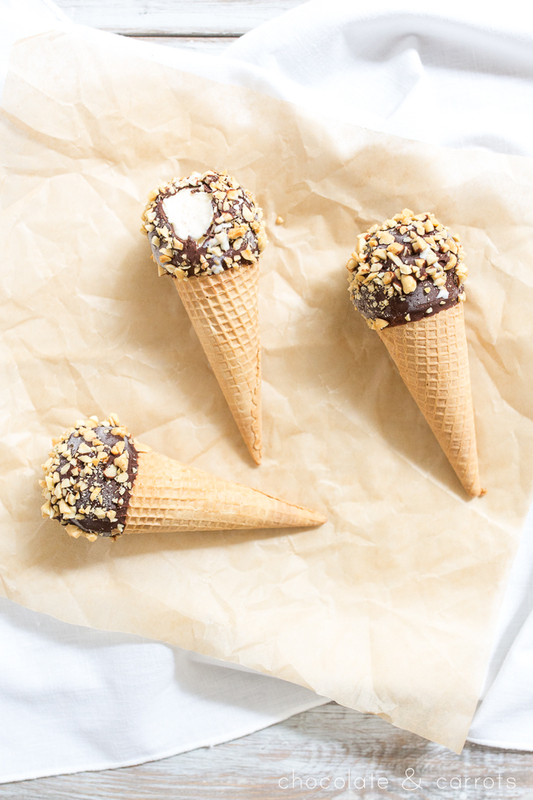 Fill the bottoms of your sugar cones with 1 teaspoon of the homemade magic shell. Next fill your sugar cones with ice cream, pushing it all the way down the cone. Round off one last scoop of ice cream on the top, place your filled cone into your cup and place in the freezer to harden for at least 15 minutes. Get ready to work quickly. Set the chopped peanuts in a bowl. 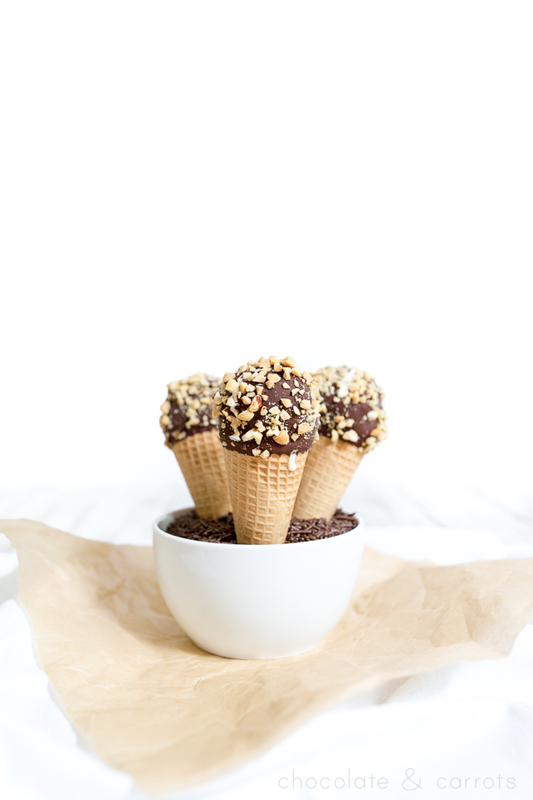 Have your homemade magic shell in a tall bowl and pull one ice cream cone out of the freezer at a time. 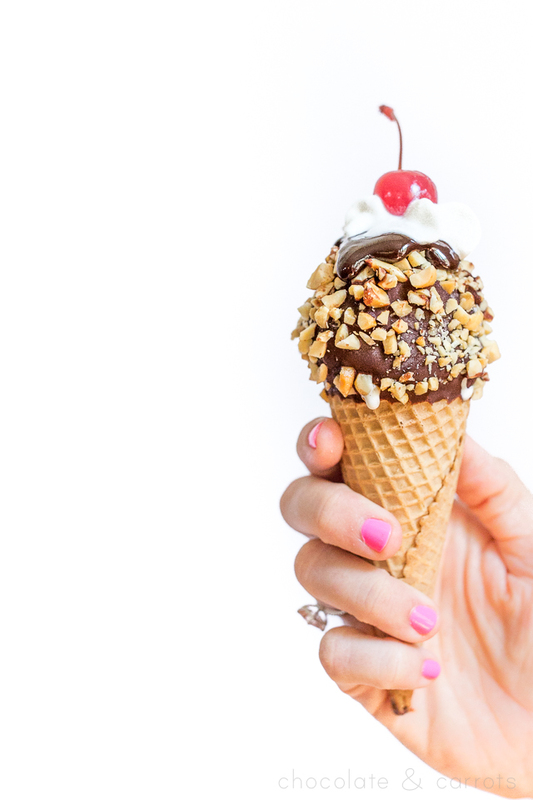 Quickly dip the ice cream cone into the homemade magic shell, covering all of the ice cream and immediately sprinkle the peanuts on it. Place back in the freezer. If you’d like to save them for later, simply wrap them in plastic wrap and store in the freezer. For added flare, you can top with a dollop of hot fudge, whipped cream, sprinkles and/or a cherry! Note: You will have about 1 1/2 cups of magic shell left over. Store in an airtight container in your pantry. You can use this to make more dipped cones or on top of ice cream! Here’s the Mayfield Creamery Store Locator to see precisely where you can find their ice cream, pronto! For those of you here in the South Carolina, you can find Mayfield ice cream at Publix, Harris Teeter, Bi-Lo and Kroger. These were immensely satisfying. Thank you!